Jeff co-wrote the book with Julie Scardina, the animal ambassador for Sea World Parks & Entertainment. The book has beautiful photographs and interesting statistics and stories about each species and conservationist’s work. There are three canine species profiled, the African Painted Dog, the maned wolf of Central South America and the Ethiopian wolf. Jeff said the African Painted Dog is a unique species found only in Africa that evolved separately from other canids. These exotic-looking dogs have a body type similar to a small wolf or fox, but with large upright ears, alert amber eyes, and a mottled tan and black coat with a white-tipped bushy tail. Sadly, the dogs are commonly perceived as savage vermin, and are routinely shot, snared or run over. In fact, the dogs are loyal, pack-oriented and gentle. 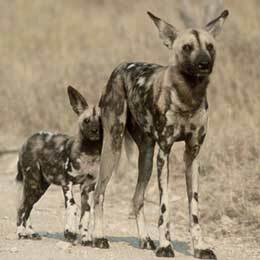 Painted Dogs will bring food to and nurse the wounds of an injured pack member and they have been shown to mourn deceased dogs. Their numbers are declining, with an estimate 3,000 to 5,500 dogs left on the entire African continent. Gregory Rasmussen, founder of Painted Dog Conservation, has worked since 1989 to protect them through hands on conservation, education and community involvement. PDC has reduced road kills 50 percent by placing reflective collars on the dogs and road signs at common dog crossing points. To change perceptions of the dogs, Rasmussen created the Children’s Bush Camp, where Zimbabwe youth learn about the species and get introduced to the normally elusive dogs at the PDC Rescue Center. Donate money directly. It might be easier to set up a monthly automated donation to the organization(s) of your choice rather than a big amount all at once. For example, a one-time donation of $180 could be hard, but a regular monthly donation of $15 is basically giving up just three lattes a month. Join activist groups. The big conservation organizations have ways to help even if you can’t donate money. For example, IFAW’s “Get Involved” section on their website has seven different petitions you can sign online to send messages to government decision makers. 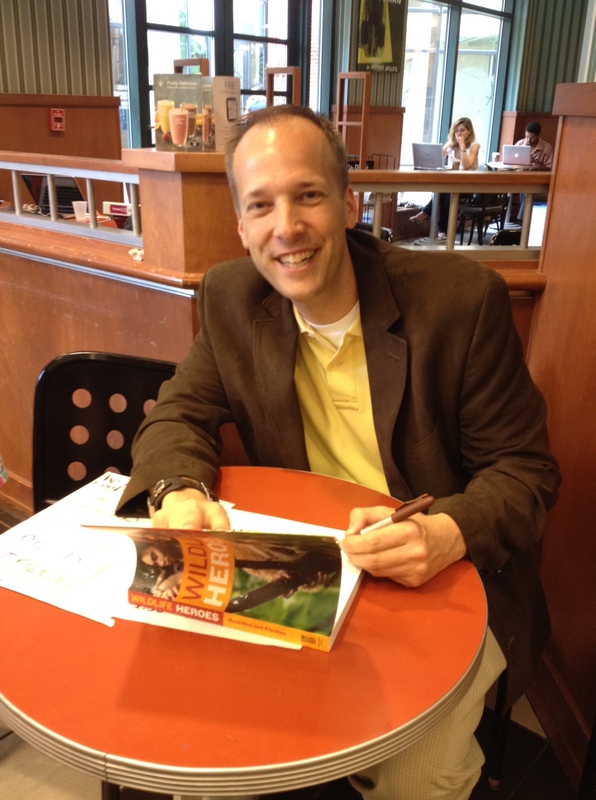 “Wildlife Heroes” is going into its third printing, and was recognized with a Green Book Festival award for Best Wildlife Book. It is available online at Amazon.com and Barnesandnoble.com for around $14. Painted dog photo courtesy of www.painteddog.org.